Guildhall takes guests on a journey of over 800 years with its awe-inspiring architecture and versatile function spaces. Within the walls of this national treasure lie nine rooms providing unique surroundings for corporate events and hospitality. Situated in the heart of the City of London, the world’s leading international financial and business centre, this striking Grade I-listed landmark offers a stunning setting for banquets, conferences, dinners and receptions. 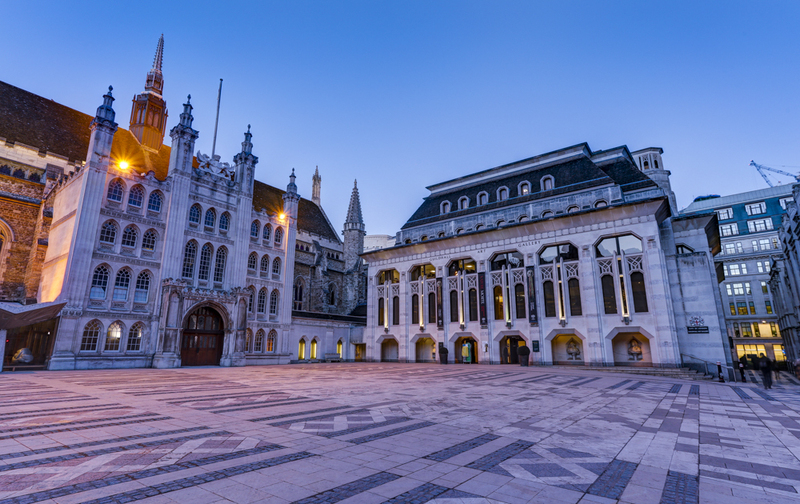 With clients that include leading international organisations, charities and professional and academic bodies, Guildhall offers an extraordinary portfolio of historic spaces, fully equipped with excellent facilities for modern business requirements. All of Guildhall’s spaces are available for daytime or evening hire whether for a meeting of 10 or a glittering reception for 900, from the stunning setting of Guildhall’s largest and most impressive room, the Great Hall, to the largest surviving medieval crypts in London, hosting your at Guildhall guarantees your guests will have a unique experience. The stained glass surroundings of the Old Library and the traditional stone Livery Hall are favourites for dinners and awards ceremonies, whilst the Art Gallery houses a magnificent display of Victorian art and is a popular space for drinks receptions. If it’s not a grand gala you’re planning, Guildhall’s Chief Commoner’s Parlour and Basinghall Suite spaces can accommodate anything from 10 to 80 guests and provide the perfect backdrop for a small conference, meeting or presentation. Or why not try something a bit different, with canapes in the London-themed Undercroft Gallery, followed by dinner in our atmospheric Roman Amphitheatre? The hire charge of Guildhall’s spaces include tables and chairs, cloakroom and security staff, a basic PA system suitable for speeches and an assigned Event Coordinator to help you make your event a reality. From the initial enquiry to coordination and logistics on the day, our dedicated Private Events team are committed to ensuring every element of your event is a success. Call us now to ensure a truly impressive occasion.